Hey everyone, here’s the latest project! 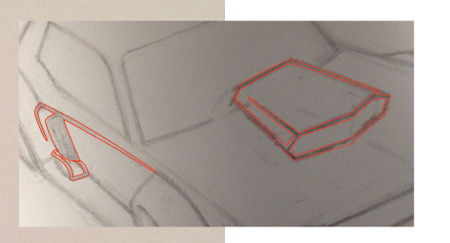 I thought I’d show you a step-by-step of how this design came to be. Enjoy! 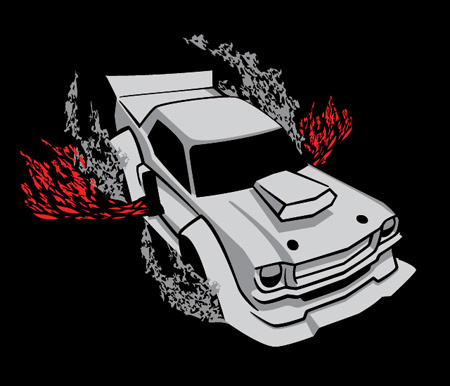 As I mentioned previously, this illustration was inspired by the Gymkhana YouTube video featuring Ken Block, where he rips around in an all-wheel-drive, 800+ horsepower Mustang (click here to check out the insanity). 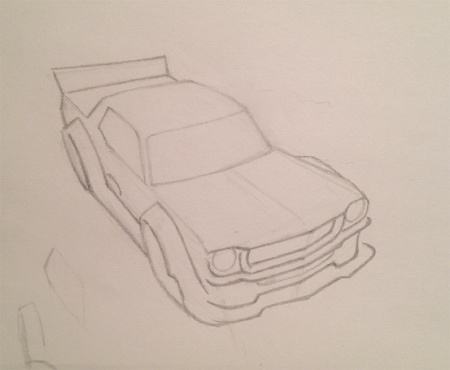 After seeing the video, I had to draw a car like that. I had to create something like it, but based on my style. Coincidentally, I got the January (I believe) issue of Hot Rod magazine in my stocking at Christmas that featured the Mustang, so I had further inspiration (click here to check out the article at Hot Rod). Above: Step 1) The first step, as always, was to start sketching. This sketch began one evening when I just happened to start doodling around. 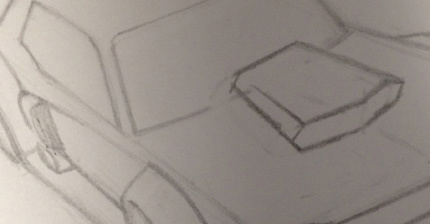 I didn’t intend to draw the Mustang right then, but everything went so well that I decided to go with it. Above: Step 2) I manually trace with red lines using the Pen Tool in Illustrator after I import a photo of the sketch into the computer. Above: Step 3) This was something new for me. Decision time. The original sketch I had drawn, though pleasing to me, wasn’t as animated as I’d wanted. I chose to arc the drawing through an effect in Illustrator. This produced what I had wanted, which was more bend in the car. I didn’t want so much bend that it looked gibbled, but just enough to give it some cartoonish flavor. I decided to go with the one on the right. 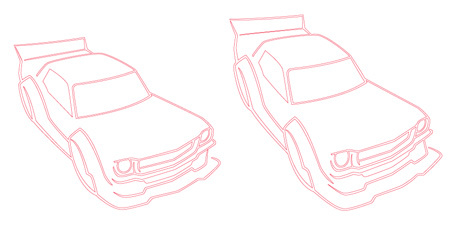 Above: Step 4) It was at this point that I realized I had forgotten the hood scoop and side scoop. I quickly went back to the sketchbook and drew those items up, then imported a photo of them into Illustrator. 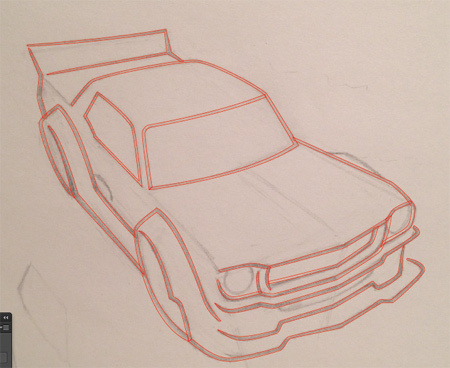 Above: Step 5) The scoops were then outlined and put in place on the car. 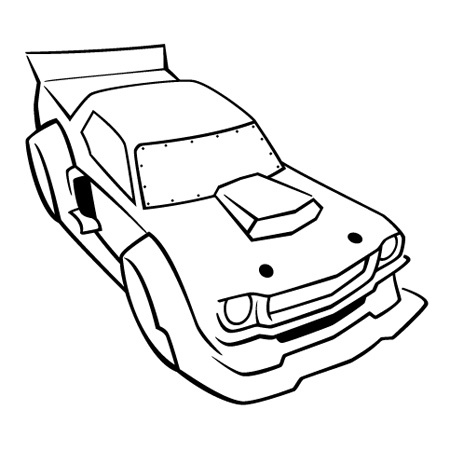 Above: Step 6) Next was making the red outlines black and manipulating line thicknesses throughout the illustration. This is where it gets exciting for me. Above: Step 7) I blocked in where I wanted my shadows to be. 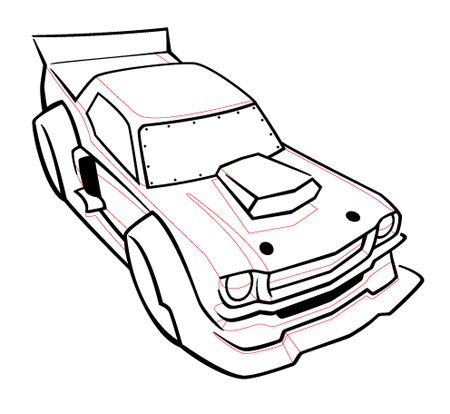 The locations that I choose for shadows are based on where my light source is and also where I want to suggest features of the body, such as creases in the hood or air dam or something. Shadows also help with adding depth. 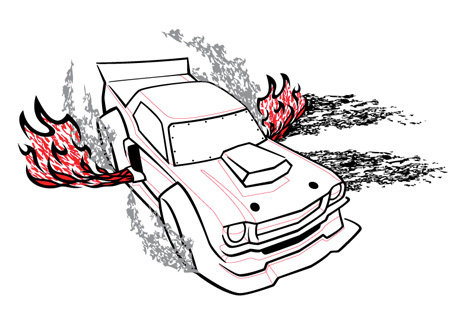 Above: Step 8) I don’t recall any flames shooing from the Mustang in the video, but mine has them – the beauty of making mine mine is it’s mine. This was the most time-consuming part of this illustration. 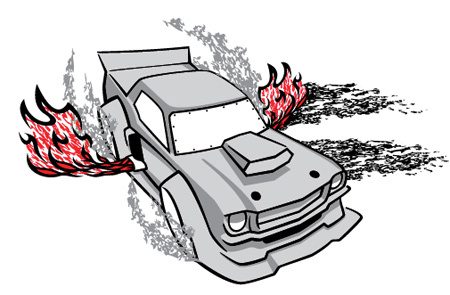 I farted around a bit too much with the flames, trying to get the right motion to flow in the fire. The flames and smokey tire smoke and noisy skiddish marks were made years ago when I made my own texture. In short, I took a picture of grass, converted the image to black and white, auto-traced it in Illustrator, then broke it apart, then stretched it to make the noisy look. Above: Step 9) is blocking in colors. Getting there! Above: Step 10) Simply put, but not simply executed, is the bold outline and refining the shadows. All this also involves separating the colors for screen for print. You can see here what things look like without the bold outlining! Step 11) The next step, which is a series of steps in itself that I completely didn’t document this time around, was to pass the final design over to Kris for print! Click here to see the finished shirt!